An estimated 24 people per day die from oral cancer, according to the Oral Cancer Foundation . What can you do to protect yourself from the disease? 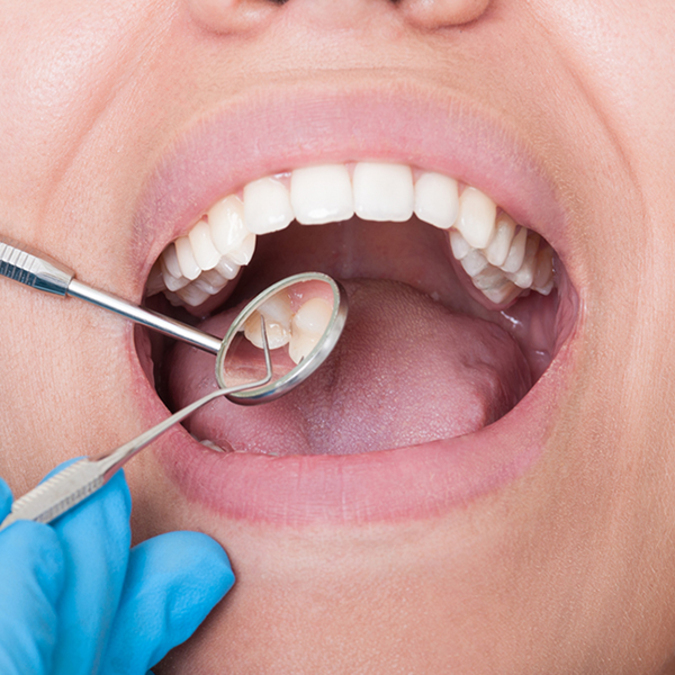 Here are 10 things you should know to prevent and detect oral cancer. One thing that makes oral cancer so threatening is its silent yet damaging presence. People often aren't aware that it is developing because it has few recognizable symptoms and causes little to no pain. By the time they notice something is different, it might be well advanced. If the above signs and symptoms do not resolve after two weeks, schedule an appointment with your dentist for an oral cancer screening immediately. Why does oral cancer have a high death rate? The challenge with oral cancer isn’t finding it or diagnosing it. The challenge is that patients aren’t scheduling regular screenings for the disease so when symptoms become apparent or hard to ignore, the disease is late in its development. “Statistics show that when it's discovered early, the five-year survival rate for oral cancer patients is about 83 percent," according to the OCF . "However, most cases of oral cancer aren’t revealed until later stages, when the five-year survival rate drops to around 50 percent,” the OCF goes on. Some dental offices are now equipped with state-of-the-art technology that can help in the early detection of this deadly disease. VELscope technology provides dentists with a tool that can detect small cellular changes that could be missed in a routine screening. The handheld device transmits safe blue light to aid in oral screenings of the mouth and tongue. This high-tech lamp highlights all the cancerous or precancerous cell changes that are present so your doctor can diagnose and prescribe treatment with precision and speed. Even the smallest signs of cancer are brought to light, literally, with VELscope technology. The OCF suggests that oral cancer screenings commence at age 18. Oral cancer screenings are performed by your dentist and can be quickly and easily done at your 6-month visit. An annual screening can help to protect you from oral cancer and its progression. Tobacco and heavy alcohol use are some of the highest risk factors for developing oral cancer. Research shows that they are linked to 75 percent of oral cancer cases as well as other cancers, according to the American Dental Association . Those with human papillomavirus ( HPV ) also have a significantly higher risk for oral cancer. Need another reason to kick-start your healthy diet goals this year? Research shows that a diet rich in fruits and vegetables can reduce your risk of cancer by 40 to 50 percent, according to the National Institute of Health . Once you have had oral cancer, it is important to be vigilant on continual screenings since the disease often triggers the formation of second primary tumors. Oral cancer survivors are 20 times as likely to develop a second cancer. This heightened risk factor can last for five to 10 years after the first episode, reports the OCF . During the month of April, an estimated 2,500 dental and medical professionals nationwide partner with the Oral Cancer Foundation to offer free oral cancer screenings in honor of National Oral Cancer Awareness Month. If you haven’t had your screening by then, plan to take advantage of this community service. You don’t want to take any chances with cancer. Make sure you schedule your oral cancer screening with a dentist who is trained and experienced with detecting and diagnosing oral cancer. Quality Dental Care of Omaha and Bennington Quality Dental Care are equipped with the latest oral cancer screening technology and training to give you peace of mind.